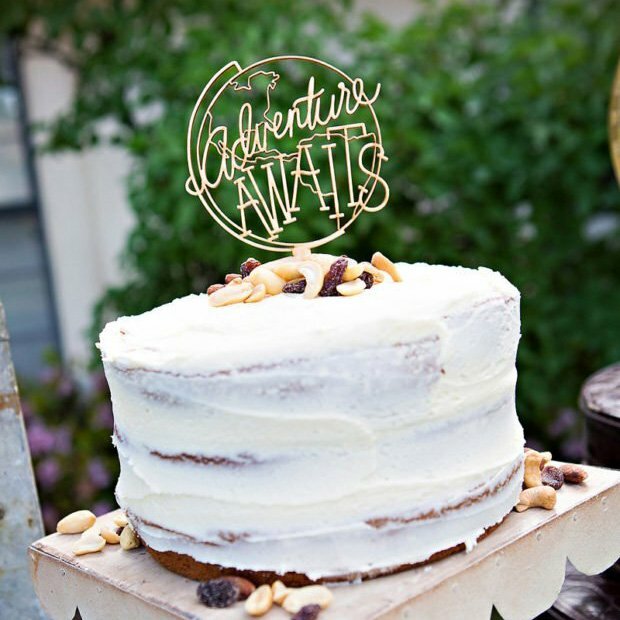 Home/Posts/Party Inspiration/Baby Showers, Kids Birthday/C is for…Cookie Monster Party! C is for…Cookie Monster Party! Is this Cookie Monster cupcake by Nick^D & his friend Abby the cutest thing ever, or what?! I’ve been inspired to throw a Cookie Monster themed party every since stumbling upon it earlier this summer. 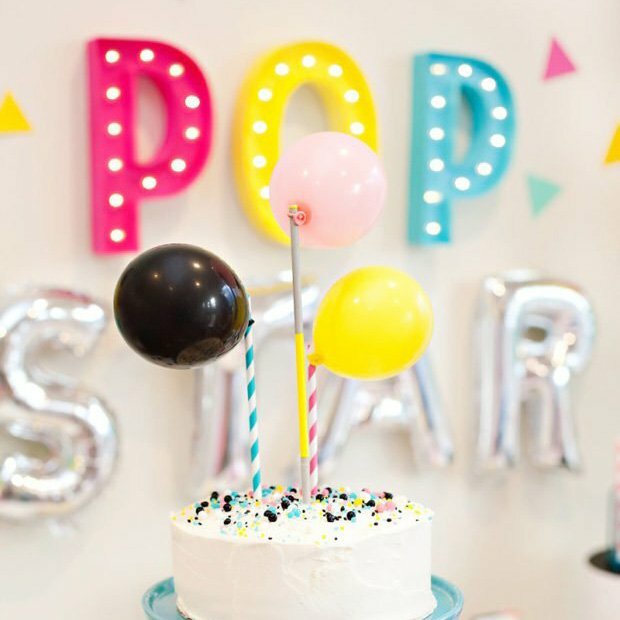 This would be such a fun theme for a kids birthday party – or even a baby shower for a fun-loving mom-to-be! 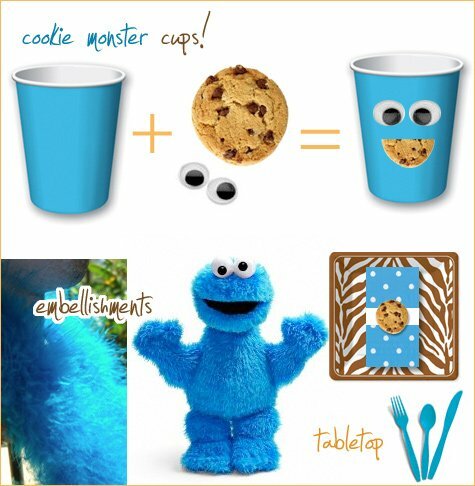 • Make cute CM-themed cups using blue paper party cups, “googly eyes” (available at most craft stores), and half of a small chocolate chip cookie or cookie sticker. 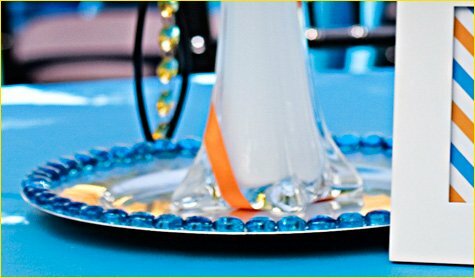 • Use fuzzy turquoise blue marabou feather boa to dress up centerpieces, party favors, vases, etc. (For a baby shower or girl’s birthday party it would even be fun to get blue chandel feather boas for the guest of honor and/or for guest photo opps! • Place Settings: Go for a fun mix of chocolate brown, blue, and white. Yes, it’s true that zebras have nothing to do with Cookie Monster, but I still thing the Brown Serengeti Plates (zebra-print) look adorable in this setting! Top them with Candy Dots Blue Lunch Napkins, folded in half. Wrap each napkin with a band of fabric ribbon or strip of white card stock + a small chocolate chip cookie to act a the “napkin ring”! (Something like Chips Ahoy would work great.) Turquoise blue or brown plastic cutlery will compliment the look as well. • Of course Cookie Monster himself definitely needs to make an appearance! This tall “Soft and Shaggy Cookie Monster Doll” by Gund would make for an adorable table centerpiece or dessert table addition! 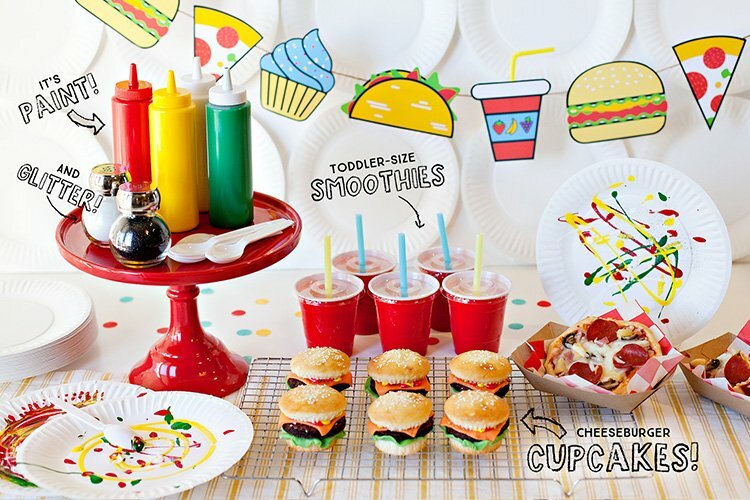 • If you’re hosting a baby shower with this theme, try serving up individual servings of ice-cold milk in tall shot glasses for a fun, adult-friendly presentation! 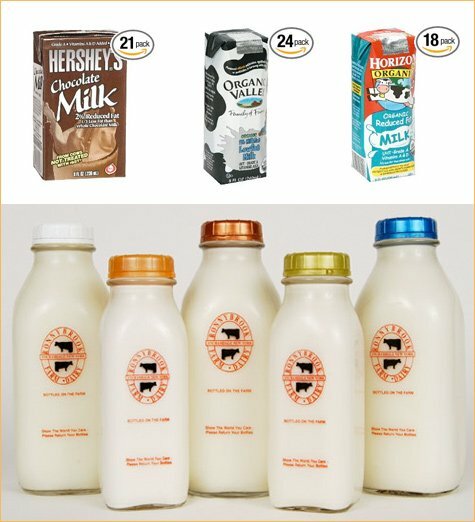 • Individual milk cartons are a more kid-friendly way to go (several of which are available in bulk on Amazon)…although there are also some great packaging designs available that would work well for all ages, like these stylish Ronnybrook Farms bottles. • Set up a creative cookie buffet. • Create “cookie vases”. Wrap flower vases (cylinder or rectangular/cube shapes) with blue cardstock or gift wrap paper, then glue store-bought chocolate chip cookies in neat rows all the way around the vase. You could just to one row to create a “banded” look – or cover the entire thing! Fill the vase with pretty white flowers like mums or daisies. If you have any more fun ideas for this theme, please share them with us in the comments! This is absolutely adorable!! I want to do this for my birthday, and I’m turning 28! oh my. I may need to quick change the theme of my daughter’s upcoming bday party. I have loved cookie monster since the age of 2. he is my mascot1 I’ll be using this theme for my next birthday party when I turn 32! I’ll replace the milk shooters with kahlua and creme shots! I love this! I was already in the process of planning a cookies and milk bash for my daughters 1st birthday since its going to be in dec. I figured this would be a great idea. Babies can gum on some cookies and I plan to have a cookie bar/exchange and recipe exchange as well. I would love to send you photos of it after! This would be a cute theme for an annual Cookie Exchange around the holidays. The cupcakes could be put in cute boxes or little cookie jars as favors. I swear. Obsessed. Obsessed with everything you guys do!!!! This is adorable. Especially coming from a mother of 2 girls under 3 years old who love Sesame Street. This is ADORABLE! I wish I had someone to throw it for! How cute! What a great idea. This is too crazy. I just signed up for the “c” snack for preschool…what could be more perfect than those Cookie Monster Cupcakes??? Thank you so much for sharing this!!! That may be the cutest cupcake I have ever seen! 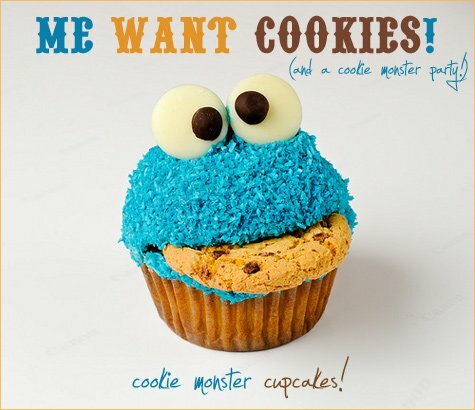 Very cute idea :) Cookie Monster was my favorite Sesame Street character as a child. I absolutely love this!! 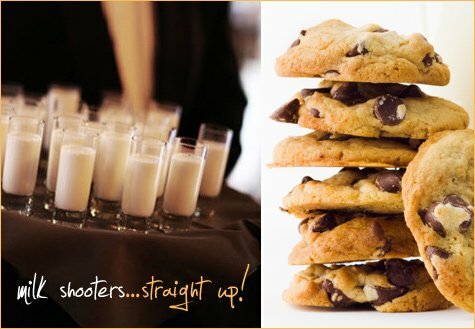 The milk shots are great…I was going to do that at a shower I am hosting! 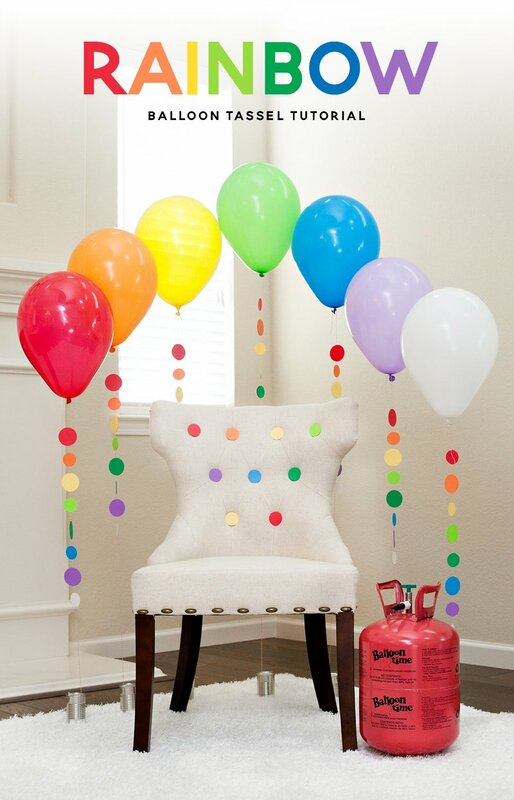 I’m loving this idea for my son’s first birthday!!! Totally love it, great ideas here! i am hungry now! me want cookie! 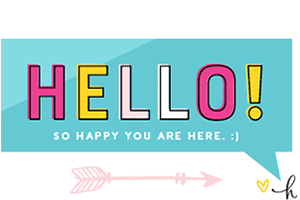 but this is great – i wish i knew if my friend were having a boy, this would totally be my theme! These ideas are so cute! We’ll be sure to pass them on to our customers–they love to coordinate their food with their entertainment. Thanks! I love this! Do you know what was used to make this cookie? 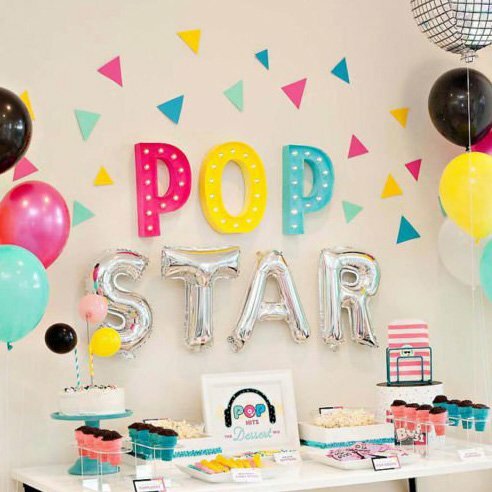 I want to give my 2 year old a party with this theme but haven’t seen anything this cute before! if you can tell me where to find this cupcake, that would be great! thanks! Uber cute. Who doesn’t like cookies and the cookie monster! I love the cups, adorable! I want t throw a first birthday party for my little pumpkin. Can anyone recommend a good venue? SUPER CUTE! I have been looking for a treat to bring to my toddler children’s preschool class for halloween and this is it! Perfect! A MONSTER, but one that isn’t scary! To make it simpler, I am going to order blue sugar and heavily frost the cupcake and then dip it in blue sugar, rather than frost each one with a tip. I love this. I had a Cookie Monster Party when I was little and will definitely do this for my son’s 1st B-day!!! Hi………We love cookie monster, and this is actually one of the firsts words my son said :)…….he will be 2 next month and I’m plannig a cookie mosnter party!……so far I am making the invitations and the party favors myself…….just have not yet decided between blue/orange or blue/green for decoration………I am picking up some great ideas from here and there…..
we are throwing a “cookie monster” party for my daughters second birthday at a local ice cream place. about 10 kids, make your own ice cream sundae’s using oreo’s, choc. chip cookies and sprinkles. love the cup idea too! so cute! the people from pbs TURNED COOKIE MONSTER GREEN!!!!!!!!!!!!!!!!!!!!!! Done! Been trying to figure out what to do for my little monster’s 2nd birthday and this is perfection! Absolutely love the cookie monster cupcake! Might have to use this for my nephews birthday party He loves cookies monster and elmo!! !